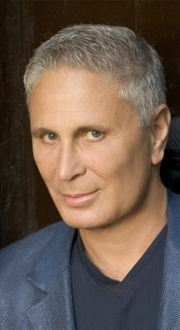 John Corigliano (b. 1938) is internationally celebrated as one of the leading composers of his generation. In orchestral, chamber, opera and film work, he has won global acclaim for his highly expressive and compelling compositions as well as his kaleidoscopic, ever-expanding technique. The composer's Symphony No. 1 captured the 1991 Grawemeyer Award for Best New Orchestral Composition and the Chicago Symphony's recording of the piece won Grammy awards for both Best New Composition and Best Orchestral Performance. In addition, Corigliano won an "Oscar" in 2000 for The Red Violin, his third film score. John Corigliano was elected in 1991 to the American Academy and Institute of Arts and Letters, an organization of 250 of America's most prominent artists, sculptors, architects, writers, and composers. Corigliano has received grants from Meet the Composer, the National Endowment for the Arts, and the Guggenheim Foundation. Corigliano holds the position of Distinguished Professor of Music at Lehman College, City University of New York and, in 1991, was named to the faculty of The Juilliard School.